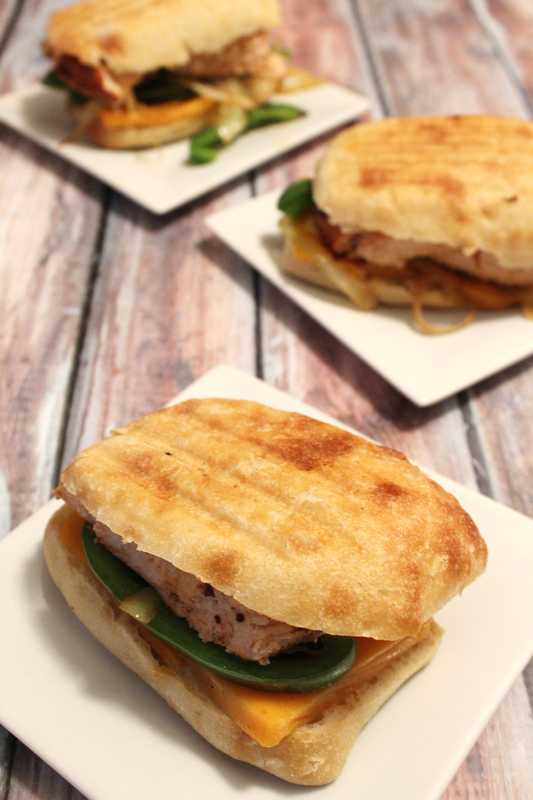 One thing is for sure, and that is that we love using ciabatta bread for panini. One more thing is for sure, and that is that we love making meals spicy (especially my husband)! 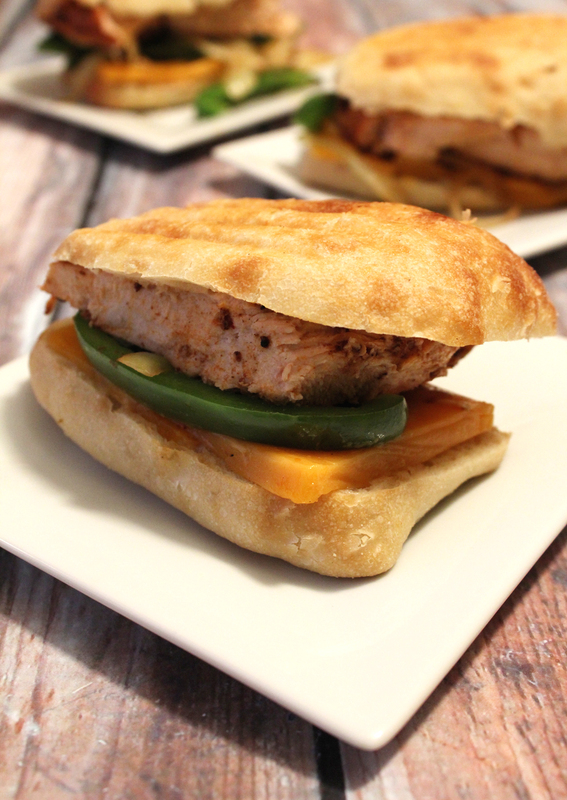 We decided to make a chipotle marinade for these chicken panini to give them an extra kick! 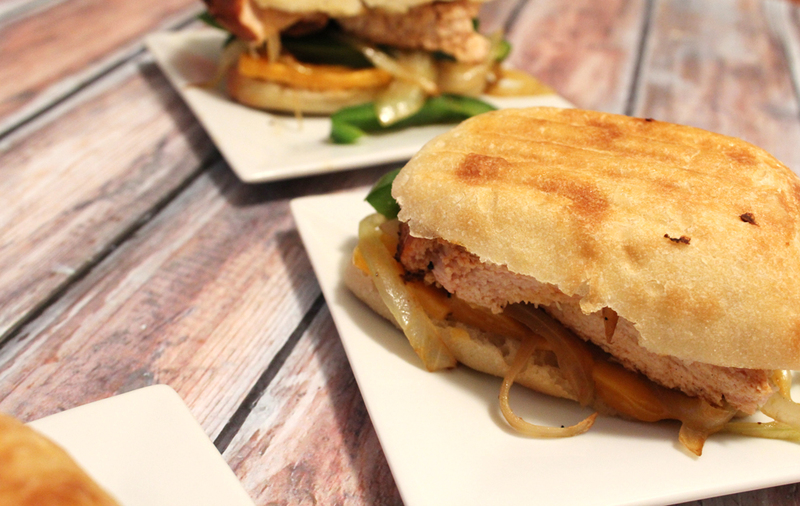 The marinade we came up with was just perfect for this panini. It gave it the spicy flavoring that we thoroughly enjoy. Not to mention we decided to use the charcoal grill, even adding some applewood chips for a smokey flavor. That was definitely an added bonus! 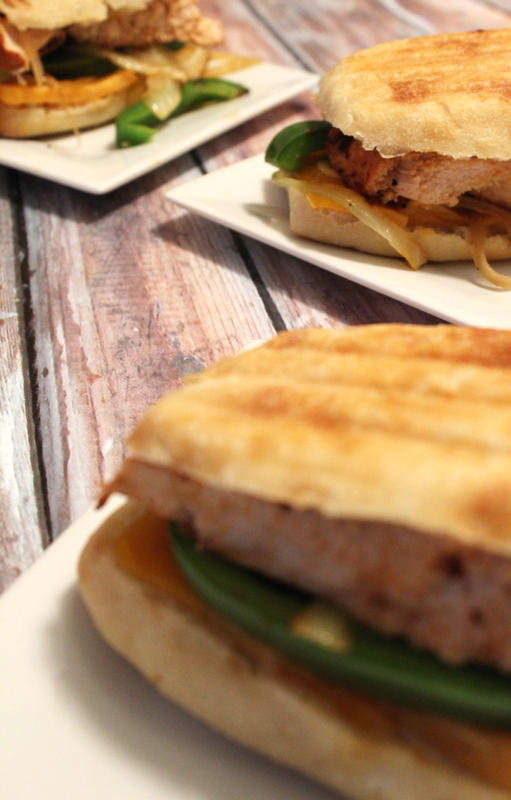 We had to share this chipotle chicken panini recipe with you all. After all, who doesn’t love a melty, toasty sandwich stuffed full of melted cheese, peppers, onions, and some mighty fine chicken! This made 3 delicious sandwiches! 1. How to make the chipotle marinade: In a NutriBullet (or a small blender), blend the chipotles, olive oil, paprika, chili powder, cumin, onion powder, minced garlic, and a pinch of salt. Once blended, place this marinade in a bowl and submerge the chicken in it. Cover and place in the fridge for about 2 hours. 2. Sauté the onions and peppers with just a little bit of olive oil until tender. 4. Cut your ciabatta bread in half, place the cheese on one side, followed by the peppers, onions, and then the chipotle-marinaded chicken. 5. Once assembled, place the sandwiches onto a panini press, spray with some oil, and press them to your liking.